I love the Holiday Season….. Many homeowners in Manhattan Beach, Hermosa Beach, Redondo Beach and El Segundo do some amazing light displays and Christmas/Holiday decorations. El Segundo and other cities have whole neighborhoods of homes that bring visitors from near and far to see the wonderful winter wonderland displays. There are a number of special celebrations in the Beach Cities including Tree lighting, Pier Fireworks, Hanukkah celebrations, a Holiday Boat Parade and even a Sand Snowman contest! Our little Beach towns have retained their unique Holiday traditions. If you want to know what’s happening in the Beach Cities during the Holidays… just scroll down and you will find the major activities for Manhattan Beach, Hermosa Beach, Redondo Beach and El Segundo. It’s a wonderful time of year.. Sadly the Neptunian’s will not be doing Gift Wrap at the Manhattan Mall this year. All the remodeling and updating in the Mall have reduced the available floor space so we were unable to set up the large space we need to wrap gifts.. Look for us next year! Saturday, December 1, 2018 10:00, 1:00 and 4:00: Gingerbread House workshop.. click the link for more information..
32nd annual Family Crafts Night: December 8th 2018… Joslyn Center 1601 Valley Dr. 5:00-8:00 pm.. call (310) 802-5448 for more information. Saturday December 9, 2018 30th Annual Skechers Fireworks Show! The fun starts at 2:00 pm Fireworks at 7:00 Rain or shine! Manhattan Village Mall Events: Photos with Santa: Manhattan Beach Mall..Click on the link to see time and dates for all the fun mall events including Breakfast with Santa, pictures with your pet and more..
Saturday December 8, 2018 Santa Sand Snowman contest 9:-12:00 at 15th and the beach..Event information can be found by calling the City of Hermosa Beach Recreation and Community Resources Department at (310)318.0280. The sleigh ride with Santa will be held on December 12, 2018 and .December 18, 2018 Santa will arrive in his sleigh with his helpers ( Hermosa Beach Fire and Police Departments) at 5 stops on each of the two evenings.. Santa will spend 20 minutes at each stop so residents can take photos with Santa.. This wonderful event is sponsored by The Hermosa Beach Neighborhood Watch with lots of help from HBPD and HBFD..
Santa will stop as close to these locations as possible.Times at each location are approximate.Inclement weather may cause change in schedule. The attached map details Santa’s route. Be sure to listen for the sirens and music–that will be an indication that Santa is nearing your location! Tree Lighting at 4:30 pm.. Annual King Harbor Boat Parade…. starts about 4:30 p.m for paddle boards and 5:30 for boats.. The Grand Marshall is Ted Lang from the Love Boat….. There is public access from a number of locations locations off of Harbor Drive. as well as many restaurants. King Harbor Marina/Moonstone Park – There is limited free bleacher seating provided by Bay Club. 3:30 PM ..food trucks will be selling lots of goodies..
Redondo Beach Marina Sport Fishing Pier – You can find this spot from Beach Marina parking lot off Harbor Drive or park at the Pier and take a short walk to the sport fishing area.. . There is free outdoor viewing along the Sea Wall at the end of Portofino Way…. Aviation Wy. Turn right and come E/B on Carnegie to Ruxton. Turn left and W/B on Vanderbilt to Aviation Way. Ripley. North on Felton then W/B on Harriman to Harkness, and E/B on Huntington to Ripley. Belmont W/B Belmont to Harkness. travel E/B to Firmona. Make a left and come back W/B on Spreckels to Pruitt. Right to Fisk and E/B to 190th, then right and another right on Firmona. Go N/B to Alvord and stop for a few minutes, then go to Ralston and W/B to Pruitt. Make a left at Pruitt and come back E/B on 2500-2600 Alvord. Go left at Inglewood Av. Left again at Ralston, then right on Felton. At 185th St, turn left to Pruitt, then right to 184th, and E/B on 184th across Inglewood to Firmona. Go right to 185th and W/B on 185th back to Felton. Go N/B to 183rd, and E/B to Firmona, then W/B to Felton on 182nd Pl, and back E/B on 182nd St to Inglewood. at the park and come back N/B to Ralston. Go W/B on Ralston to Meyer, then right and back E/B on Hill to Lilienthal. W/B on Ives, and E/B on Hadley. Take Lilienthal, Ripley to Marshallfield W/B to Harkness. and go west to Goodman, turn right, then W/B on Lomax to Prospect. Turn right to Van Horne, then E/B Van Horne to Harkness. Make a left then W/B on Armour to Reynolds. Continue to do 1600-1700 blks to Speyer, then do Harper to Aviation, Steinhart back to Belmont, then N/B Goodman to Aviation. Come back on Stanford to Belmont and N/B Ford to Aviation. Del Amo. Turn left and go to Lucia. N/B on Lucia to 190, turn right and come back S/B on Maria to Del Amo. Then N/B on Paulina to 190th. St.
Bl, then E/B Torrance to S. Francisca. Go N/B to Vincent Park, then right, come back S/B on Guadalupe, to Torrance, then left to Helberta and back N/B to Vincent, then right to Irena, S/B to Torrance, then left and back N/B on Juanita to Vincent. Come back S/B on S. Lucia to Torrance. Hill, then N/B on Elvira to Sapphire. Turn right and cross PCH on Sapphire to Knob Hill, turn right and come back to Gertruda. Go N/B to Pearl, then left to Francisca, left again to PCH. Then left onto Sapphire, this time go to Helberta and go left to S. Irena, come back S/B on S. Irena. Left on Serpentine, then left again on S. Juanita to Camino Real. on Ave F to PV. W/B on Ave E, make a right on Ave D to S/B Gertruda, then back on Helberta to Ave D., S/B on S. Irena (Do Ave D as you are going back and forth on Gertruda, Helberta and Irena). Take PV to Prospect and do the 1000 blk Ave D, then W/B on Ave C back, including 1000 block, then E/B on Ave B(including 1000 block), then Ave A(1000 block) to PCH. Take Knob Hill to Camino Real. blk, then back to W/B on Helberta to PV, then E/B on S. Gertruda go to Messina and Circle Drs. Then W/B on Ave E to Pv, and E/B on Ave F to Prospect. Then W/B Ave G to PV. Then S/B on PV to Catalina. Turn and immediately take the left to Camino de la Costa. Go W/B on Paseo de la Playa, come back E/B on Vista del Mar, then N/B along the 1700 Blk of Camino de la Costa to Ave I. Make a left and to go the Esplanade. N/B Esplanade to Knob Hill. Continue route E/B Knob Hill to PCH, S/B PCH to Avenue A, W/B to Esplande. Continue Avenue A to Avenue H, alternating East & West on the Avenues (always S/B PCH and S/B Esplanade). End Route at Avenue H and PCH. •Due to the size of Santa’s sleigh, and safety first, Santa will not be stopping on busy streets such as Manhattan Bch Bl, Aviation Bl, Artesia, Grant Av, 190th St, Prospect, PCH, Catalina.•His helpers will pull the sled as near to the curb as possible so he can see each and every one you.•If weather becomes a factor, that night’s area will be skipped, and made up at the end. Thursday, December 6, 2018 … The Annual Tree Lighting… and craft boutique at City Hall Plaza 300 Main Street 3:00 pm-7:00 pm ..
Sunday, December 9, 2018… 1:00-3:00 pm …..The 55th Annual El Segundo Christmas Parade.. If you love an old-fashioned parade don’t miss this one.. The parade begins at Main Street and Imperial and goes south to El Segundo Blvd… Don’t miss the fun! 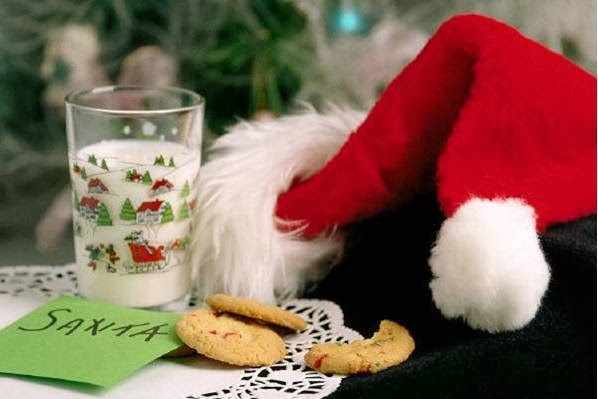 Santa in El Segundo ... Santa will be visiting El Segundo from Monday, December 3, 2018 – Wednesday December 12, 2018..
To find out when he will be in your neighborhood check with the head Elf .. If you have an event you would like to add… just e-mail me and I will add it to the list….